Have you returned from vacation with a bucket full of sea shells? 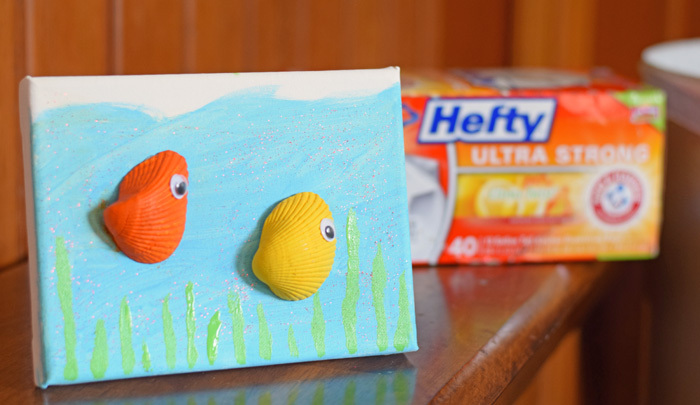 Let the kids turn them into a fun Sea Shell Sea Creature Canvas Craft. This post is sponsored by Hefty® Ultra Strong™ trash bags, who helped me clean up our crafty mess. We recently returned from a fun beach trip. The triplets collected sea shells, and we came back with a bucket full of assorted sea shells. 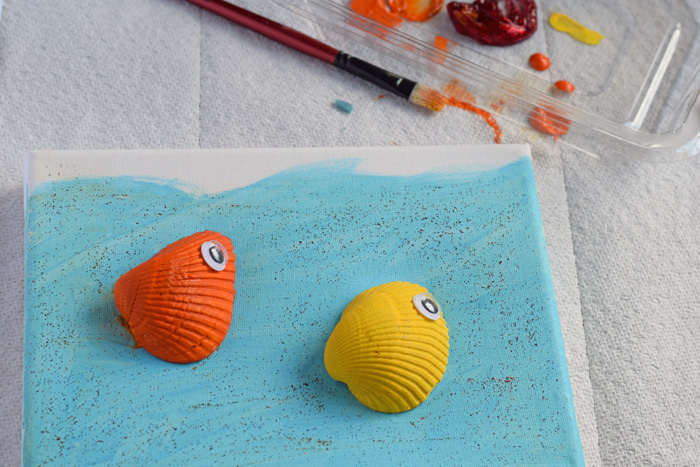 A few years ago, after a similar trip, my daughter used the shells to paint, put wiggly eyes on, and create different sea shell fish and sea creatures. 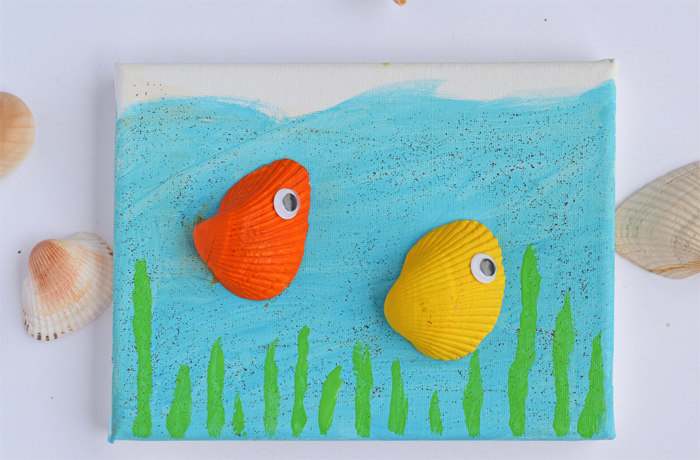 This week, the boys were missing the ocean and the sand one day, and I decided to help them recreate the craft but place them on a canvas as a decor keepsake. As an extra, since we have also been working on chores this summer, they helped clean up the trash with the Hefty® bags that handle all of our crafty, messy needs. Sea shells- The shells can any size or shape. Since we are making creatures, any shape shell will work. 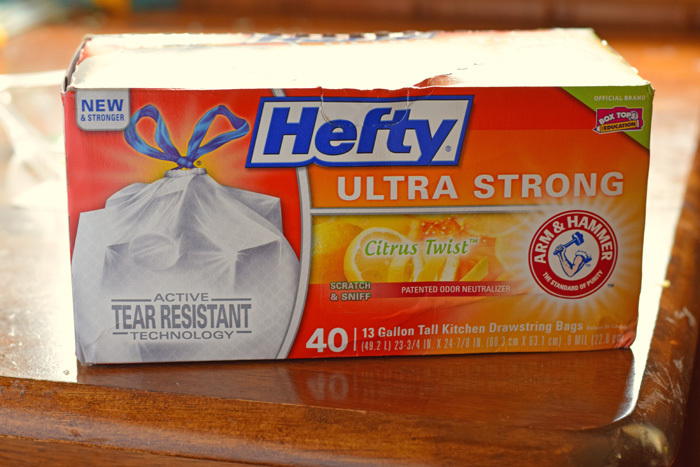 Hefty® Ultra Strong™ trash bags– These come in a variety of scents, including Clean Burst™, Tropical Paradise™, Lavender & Sweet Vanilla™, White Pine Breeze™, Crisp Orchard Apple™, Citrus Twist™, Pomegranate Mist™ and Scent Free. 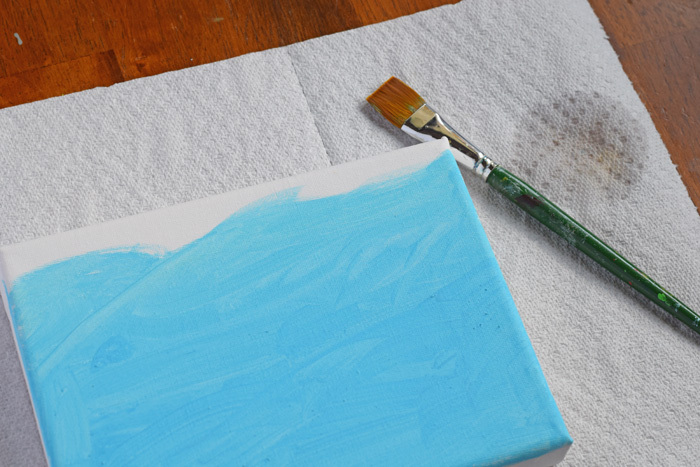 Use blue paint to cover the canvas. The child can cover it completely or partially. Let the paint dry thoroughly. 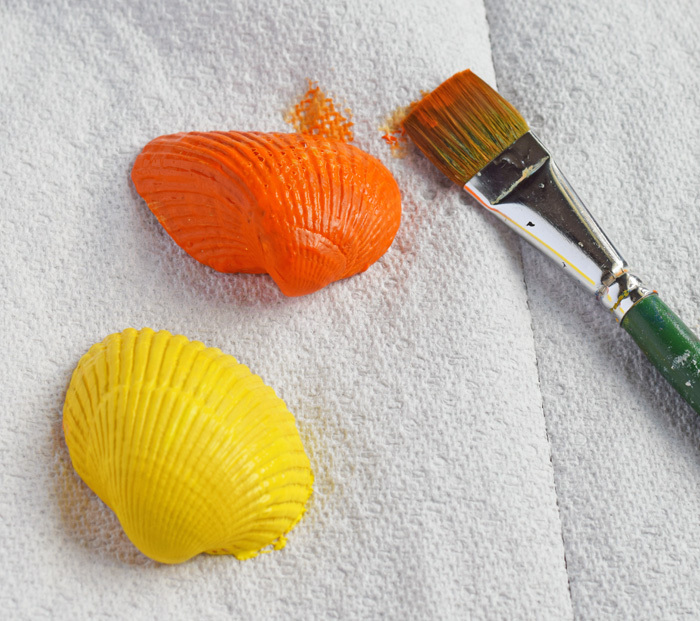 Paint the shells in assorted colors. Let the paint dry completely. THIS STEP IS FOR ADULTS ONLY. 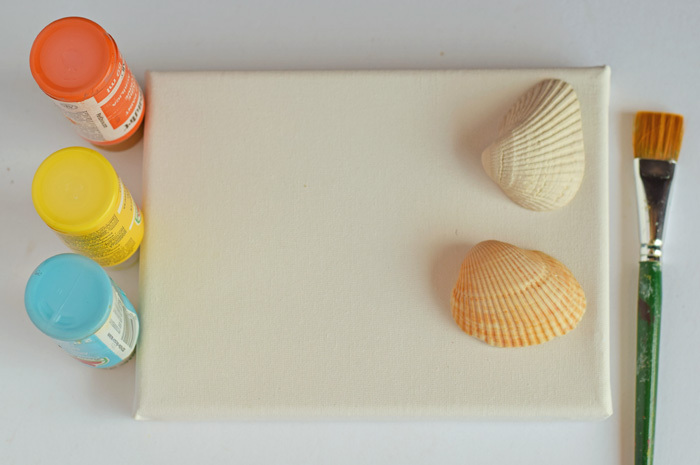 Use the hot glue gun to attach the shells to the canvas. Adhere the wiggly eyes to the shells. Apply the glitter glue to the canvas. 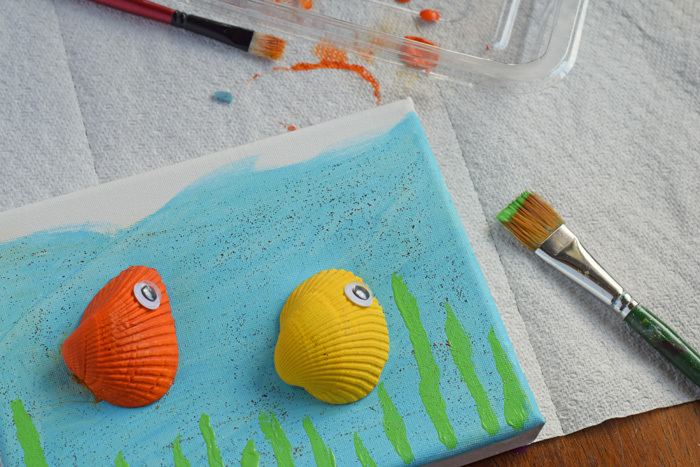 Use green paint to make “seaweed.” Use other paints or shells to add more to the canvas, as desired. I have been placing a focus on cleaning up with the kids this summer. I can let them clean up crafty trash with Hefty® Ultra Strong™ trash bags with confidence, knowing that they have active tear resistant technology for better puncture-resistance AND break resistant grip drawstring that prevents the bag from falling inside the can. I tackle strong messes every day. 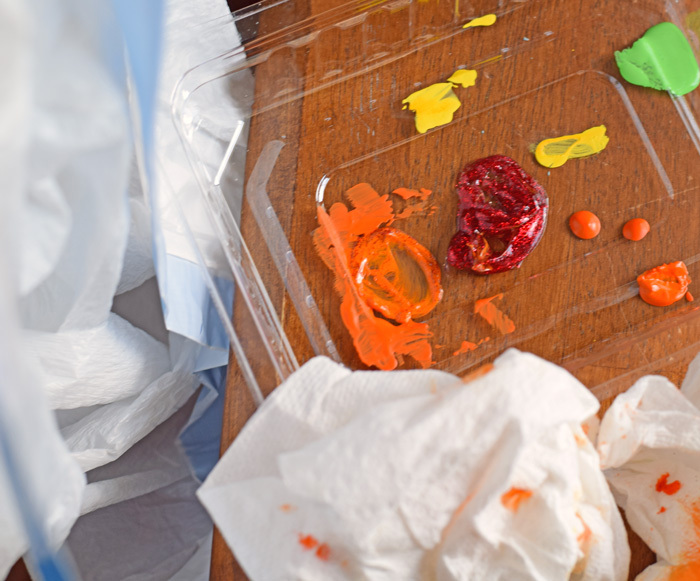 From snack trash to craft trash, my kids have put my cleaning skills to the test several times. Hefty® is celebrating strong moms in partnership with a real-life strong mom, Carol Cena, WWE superstar John Cena’s real-life mom. They are spreading the word that Hefty® is the best in ultra-strength and ultra-savings. Pick them up at your local retailer and tackle your post-vacation crafty mess with me! Haha! This is such a cute idea! We don’t live near a beach since were in the middle of the country. We have man made beaches but it’s not the same! However, I was in the Bahama’s earlier this year and I brought home a ton of super tiny shells for my son. They didn’t have anything large and they were just so cute. I will have to keep this craft in mind when we visit home and head to the beach! This is such a great idea!! Oh I love these! WE are going to the beach in the fall. I think we can find some great shells to use for this. I need to remember to save them and come home and do a fun craft like this. Adorable!! What a neat idea! My son just threw out a gigantic bucket of seashells that he picked up in Key West. Wish we would’ve made something crafty like this instead. This is absolutely adorable. This is so clever and so cute! What a perfect project as we’re all needing something to keep the kiddos busy in these last few weeks of summer. 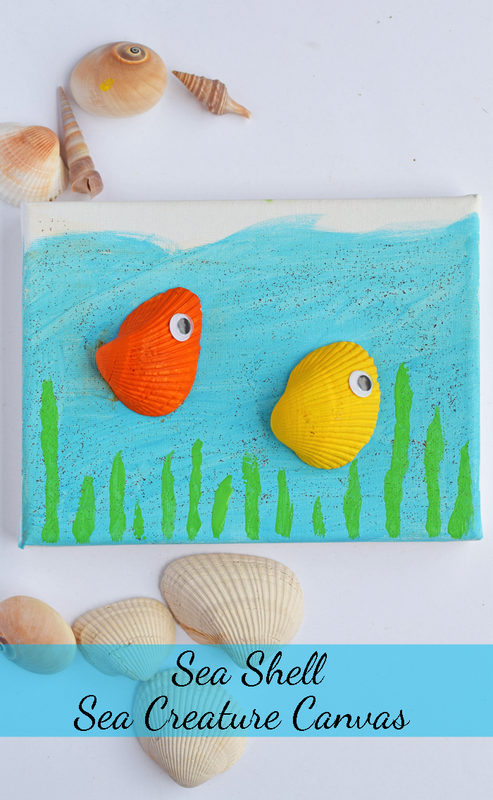 Loving the use of seashells…just adorable! Running out of ideas for my son this summer. These look like a great project to so now and save for later in the year. Give as gifts to grandparents@! Oh my gosh! This is so nice! I actually just came back from Michaels and bought a bag of seashells even though I do live at the beach. LOL! So funny. I love this! I could also have my son do this since he likes to paint. Thank you for sharing your idea!